At times, I would love to have some simple stir fry greens to go with my meal. 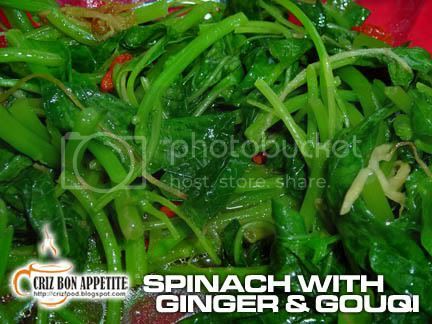 Let me share with you my STIR FRY BABY SPINACH WITH GINGER AND WOLFBERRIES recipe which is ideal for a meatless meal as well as for kids. Garlic won’t be added in as it would also suit those undergoing vegetarian diet during these few days of meatless retreat. Spinach has many healing properties and is rich in minerals and vitamins. Regular consumption would be great for the maintenance of healthy eyes, cardiovascular system and nervous system. Wolfberries on the other hand are nutrient-dense superfood which has high antioxidant contents. They are believed to enhance the immune system, improve eyesight, protect the liver and improve the blood circulation. The usage of the powerful antioxidant ginger here would also benefit the body as it enhances the body’s internal production of antioxidants. Thus, less diseases and slower aging process for the consumers. • Heat up some olive oil in a wok. 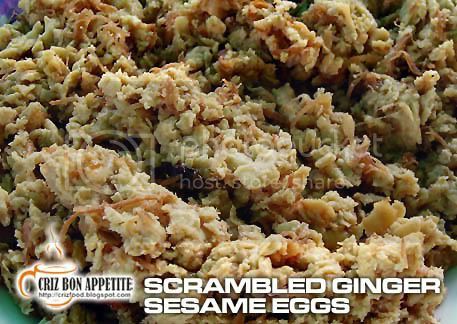 • Add in the julienned young ginger and sauté until fragrant. • Add in the baby spinach and stir fry until almost cook. 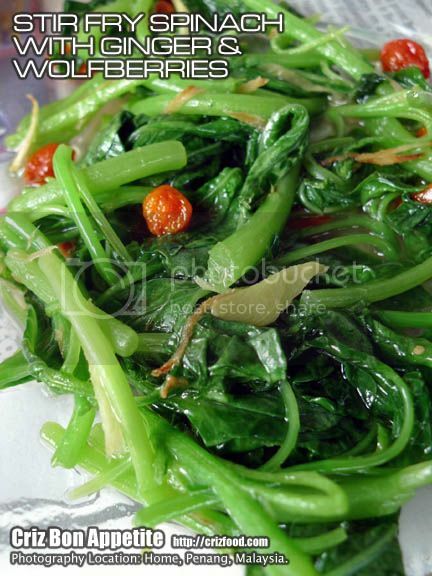 • Add the wolfberries and stir thoroughly until the baby spinach leaves are cooked. • Add in salt to taste. 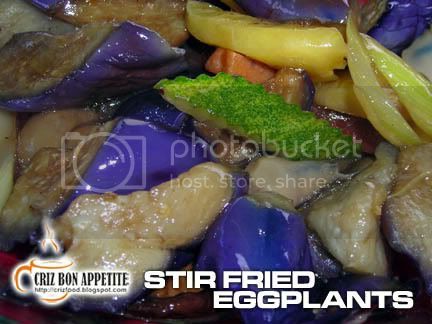 • Serve immediately with hot steaming rice. Note: No water is added as the baby spinach would release some juice in the process of cooking. As the Nine Emperor Gods’ Birthday is nearing this coming Monday, 15 October 2012 (first day of the ninth month of the Chinese lunar calendar), most of the Chinese Buddhist would undergo a 9-10 days of meatless diets. 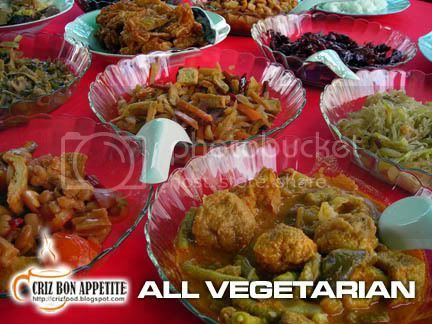 There will be many vegetarian food stalls set up all over town, especially in Penang, where the devotees would flock around the temples to welcome the return of the gods from heaven to earth. Although the buying of the food would be easy, I still prefer to cook up something on my own. 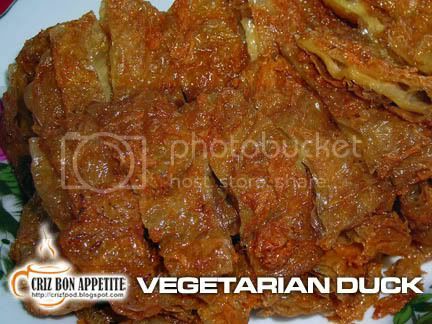 One of the dishes which I love to make would be the CRISPY VEGETARIAN DUCK. It’s easy to make and yet delicious enough to be shared on the dining table. 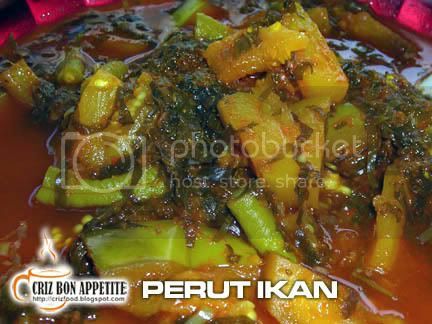 Let me share with you the traditional recipe that has been in my family for generations. 1. 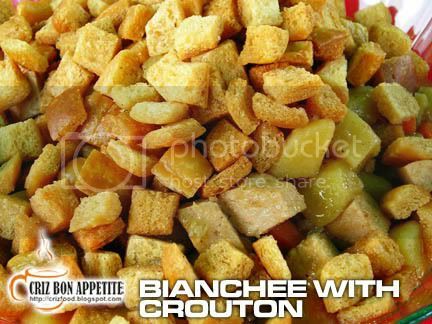 Take a large bowl, mix all the ingredients thoroughly. Add in the roasted sesame seed last. 2. Place the tofu skin on a large tray or a clean table top length wise. 3. Dampen the right half of the skin (approximately a small ladle full or less depending on your ladle size) and fold into two fron left to right (as per diagram below – click on it to enlarge further). 4. Dampen slightly the folded skin. Fold 1/3 downwards and 1/3 upwards (as per diagram). 5. Dampen slightly again and fold 1/4 inwards on both sides (as per diagram). 6. Fold into half and secure with two long bamboo sticks upwards (as per diagram). 7. Heat up a wok with water. When boil, lower fire and place the ready vegetarian duck on a plate and for 10 minutes until bloated up. DO NOT over steam. You might have to steam many times as the “duck” has to be separated apart when steaming and your wok might not be big enough to fit all. 8. Leave aside to cool down. Make sure they are TOTALLY cool down before frying to ensure the fluffiness. 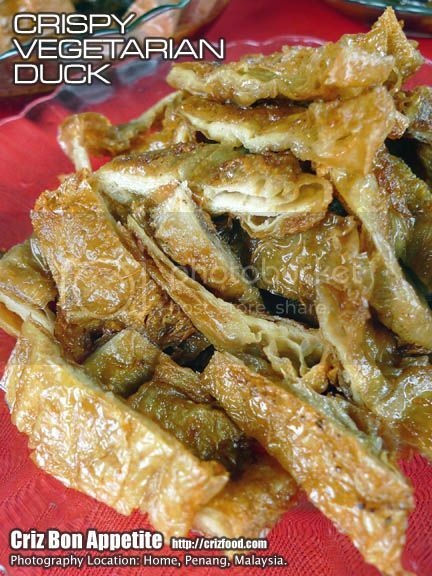 Most people would just serve this with chili sauce but I prefer the traditional way of eating the vegetarian duck with homemade pickle. Just place the pickle in an air tight jar and keep it refrigerated. It would last you more than a week if you are careful enough to use an extremely dry chopsticks to take them out when serving. You can even take them with Pork Roll (Lor Bak) or Liver Roll (Too Kua Kean). Here’s the recipe for the pickle. Marinate it for half a day would be good enough before serving with your dishes. 1. Remove the skin of the carrot and radish. Cut half the carrot and a quarter the radish. Use a kitchen helper to slice them thinly. You can cut some decorations on the vegetables if you want to. 2. Scrape off the skin of the young ginger. Slice thinly and cut into strips. 3. Mixed the vegetables with the rest of the ingredients. Bottle it up. 4. Best served with your dishes when chilled.If you feel that there is too much work involved in coming up with the pickle, here is another sauce recipe. I called it The Lazy Man’s Sauce… LOL! Mix all in a bowl. 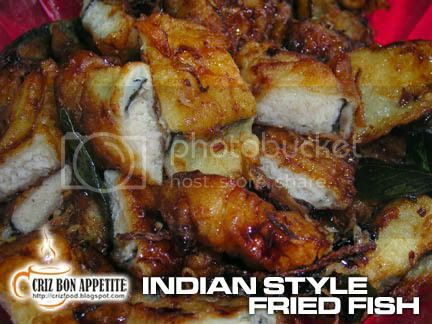 Best served with any fried meat or fried tofu end products. After weeks of feasting during the recent festive season, it’s time to have some detoxification to rejuvenate the body. 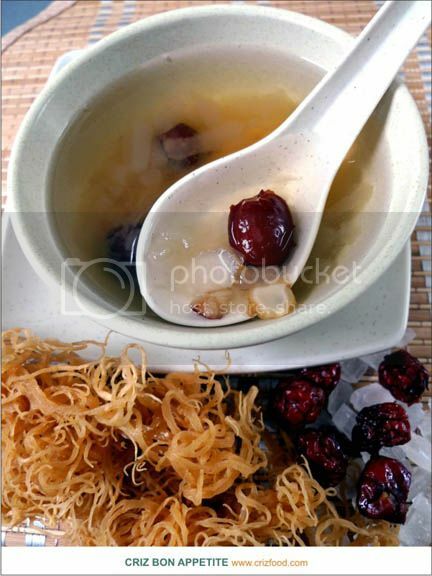 Here’s something beneficial to the body and yet easy to cook – SEA BIRD NEST WITH AMERICAN GINSENG. 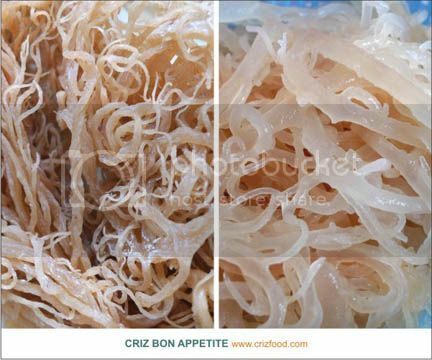 Scientifically known as Eucheuma cottonii, the Sea Bird Nest is more commonly known as Coral Grass or Organic Seaweed. These seaweeds which I obtained from the coastal areas of Sabah, East Malaysia, are naturally harvested with no artificial fertilizers. They taste quite similar to bird nest but less expensive and are enriched in vitamin A, B1, B2, B6, K and 56 mineral supplements which would be ideal for a perfectly balanced natural diet. For generations, seaweeds have been used as one of the natural ingredients for health, vegetarian diet and beauty. They can be eaten raw as in salads or blended in fruit juice to obtain its natural enzymes. As for desserts, you can make jelly with them or even boil them as cooling desserts for health care. There have been many proven cases where seaweeds have been used as a natural alternative to promote good health. Some of the usages include regulating the blood circulation and high/low pressures, improving the vitality, resisting fatigue, weight-loss diet, beautifying complexion, osteoporosis, stabilizing proper thyroid function, cardiovascular disease, digestive disorders, constipation, etc. The seaweed’s high active substances and polar soluble fiber will also help in adjusting the insulin to maintain the blood sugar balance to prevent hyperglycemia as in the case of diabetes. They also eliminate free radical efficiently for detoxify body organs and activate cell tissues for metabolism and anti-aging. 1. Wash the seaweed to rid the salt and soak in purified room temperature water for 5-6 hours, changing the water at least twice. You would get soft cartilage colored like seaweeds. 2. Get a 5L pot and fill up 4/5 of the pot with water. 3. Add in the red dates and bring to boil. When boil, lower to medium fire and boil for about 45 minutes. You would get about 3L left. 4. Add in the ginseng slices and rock sugar and boil for another 10 minutes. 5. Add in the soaked seaweed and the pandan leaves. 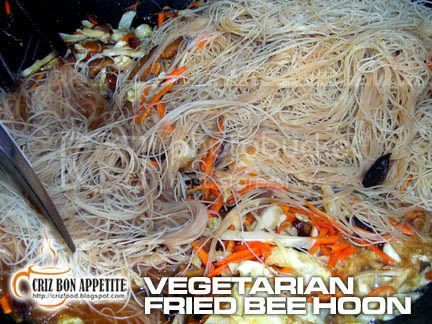 Boil for 5 minutes. 6. Close the lid and leave for about 15 minutes. 7. Scoop to serve either hot or chilled. Note: The soup would be more gelatin-like due to the thickened seaweed at the base when chilled for longer hours. Just stir it well and serve. 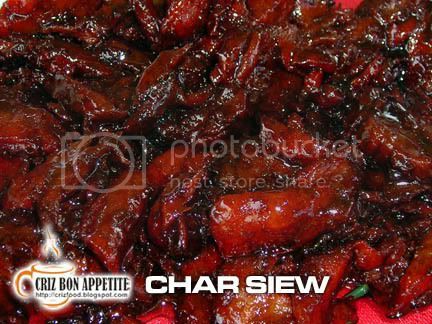 Where to Buy: For those in Penang, you can purchase the Sabah Seaweed from I Mum Mum Pan Mee for slightly over RM12 for 200gms of good quality seaweeds. I had found theirs to be of better quality than those from certain Chinese medical shops. Barely few hours ago was the bon voyage of the Nine Emperor Gods’ spirits to heaven from earth. It was also the birthday of Tao Bo Hood (also known as Tou Mu, Ma Zu, Matsu, Da Mao, Tian Hou), the mother of the Nine Emperor Gods. 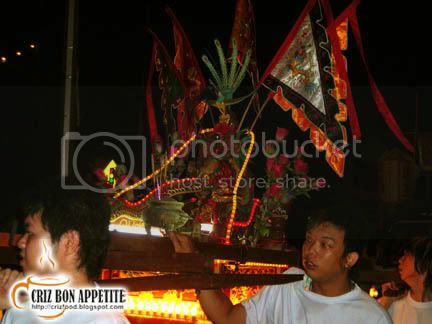 She is the Chinese form of Buddhist Bodhisattva Avalokiteshvara, sometimes known as the Thousand-Hand Guan Yin. Apart from praying with lots of Mee Koo (Turtle Shaped Buns) and fruits, I was also treated with a sit down vegetarian lunch. This was one of the most enjoyable vegetarian meals I have been waiting for each year on the last day of the celebration. Who could resist all the home cooked dishes by the experienced aunties? 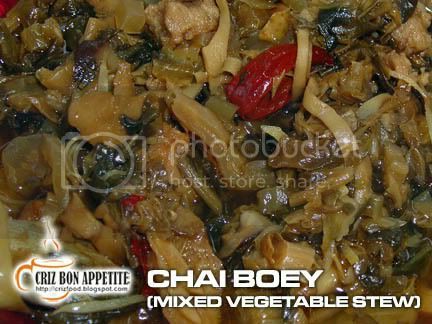 Moreover, there were more than 20 types of yummy vegetarian dishes at any one time, even more than the plates of rice on the table. LOL! 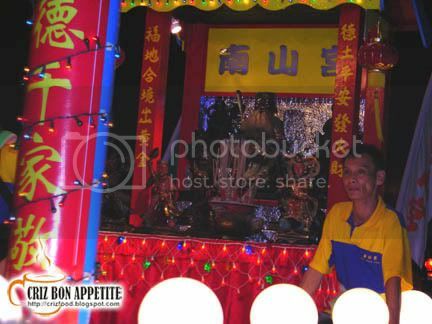 There were also over 10 kinds of local Nyonya delicacies and free flow of thick black local coffee and Chinese tea. 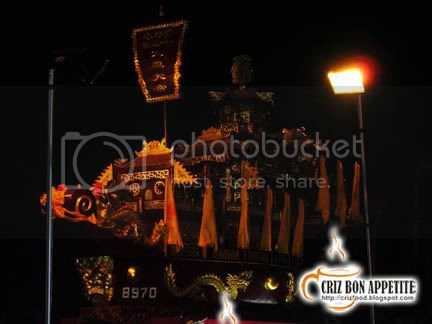 Towards the end of the day, I took some photos of the Nine Emperor Gods procession together with Allen and Steven. Nothing much to brag about as the whole event went by so fast. The interesting things I have noticed were only the long Thaipusam-like skewers piercing through the cheeks of some of the devotees in trance. I have been having too much of red meat continuous for the past few weeks. I think it’s time to cook something that is much healthier. Somehow, I still missed those juicy T-Bone Steak or Mutton Shank but for a healthier meal, I opted for vegetarian mock mutton. 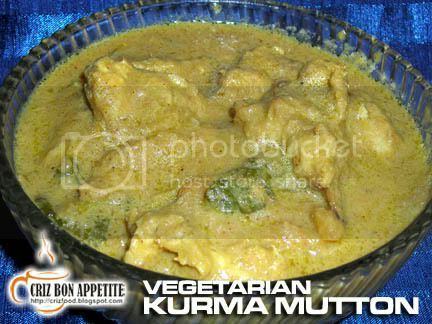 I am going to share you all this week my Vegetarian Kurma Mutton, an Indian dish which is spicy but not hot. It can also be taken by children of any ages. 1. Heat up the vegetable oil and stir in the blended ingredients. 2. Put in the onion, cinnamon bark, cloves, cardamoms and star anise. Stir until fragrant. 3. Add in the mock mutton and water. Simmer for 10 minutes on low fire. 4. Add in the tomatoes and green chillies and stir for another 5 minutes. 5. Add in the full cream milk and mint leaves. 8. 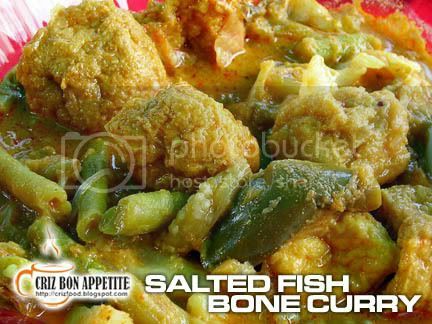 Serve with white rice, roti canai or chapatti. 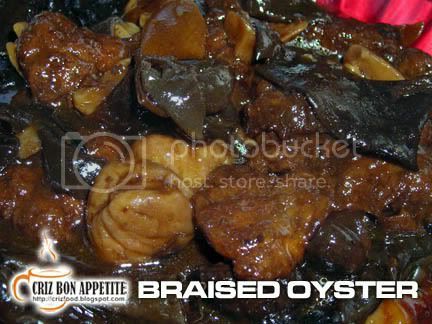 The mock/vegetarian mutton can be replaced with meaty mutton cubes. 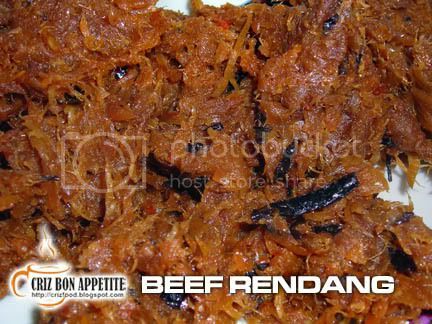 The mutton must be marinated with juice from grated ginger in order to make the meat tender while cooking. Use one cup of water instead of the 1/2 cup as stated.